Well, maybe the world will be just fine, but maybe my experience is actually something of value and could influence one, two or ten people for the better. And maybe this blog is the only place where we could make that connection. I guess that is the point. 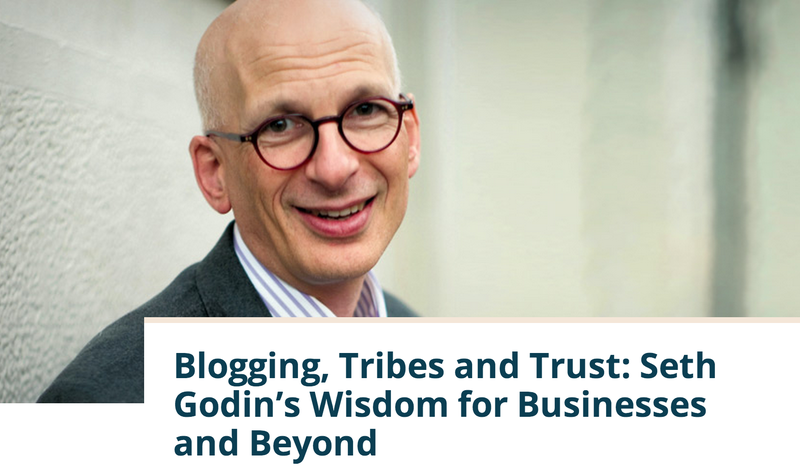 That’s what I learned from this Seth Godin Interview on Dave Ramsey’s blog. If you’ve got something to say, share it somewhere more meaningful than snarky twitter updates. <—– Um whoa… does Seth follow me on Twitter? How did he know? I never set out to lead a tribe or build a following, but as an entrepreneur and everyday business owner with a voice that can’t be squandered…it has come naturally for me with the territory. And it’s like that for many other leaders too. Because we’ve done it… gone out and created a way of life out of thin air… others hoping to do the very same thing will look to us to show the way. So, I’ll be right here, doing just that.